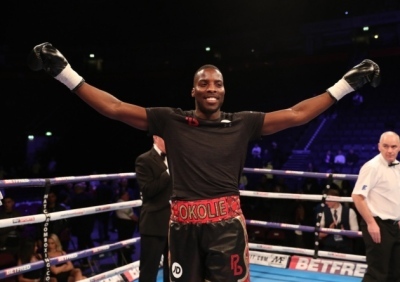 It seems that Lawrence Okolie is the man who shouldn’t have achieved what he has. He shouldn’t have picked up the adulation and admirers, given where he started. The stories are well documented of the 17-year-old who was told to exercise to beat clinical obesity. It was his first knockout win. It doesn’t take much of a Google search to find the teenage who is unrecognisable from the giant of a man who turns 26 in December. Overweight, it would have been hard to predict he would become a 6 foot 5 cruiserweight with sights on the world scene while still only in single figures of professional bouts. Having stood by the side of Okolie, you would question how he has made a career at cruiserweight. He is huge. Not just vertically, but he has a comfortable horizontal frame to match. He is a hybrid of an individual; he talks of a street fighting background, yet also won national University championships while representing University of East London. There are times in the ring when that frame looks uncomfortable on him; almost T-Rex like arms when pulled in. Unlike the dinosaur though, he has shown he can evolve to survive. 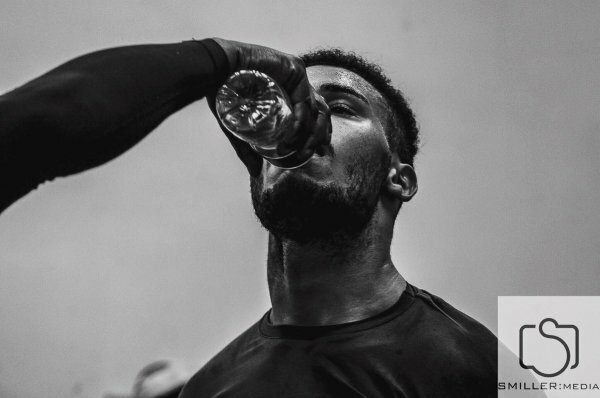 Take a moment to understand the rise of Okolie. 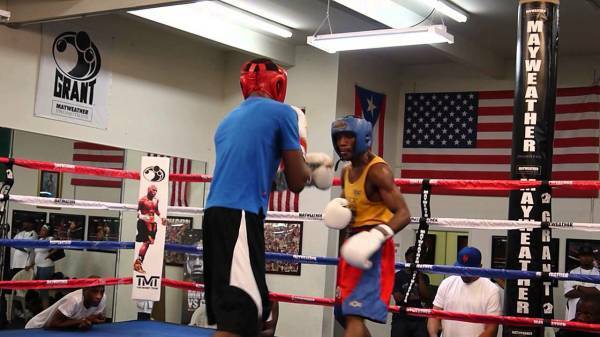 When he lost in the Rio 2016 Olympics to eventual bronze medallist Erislandy Savon, it was only his 26th amateur bout. It was also his last. 26. Putting that in context against his contemporaries, Anthony Fowler has 209 unpaid, Joe Joyce is believed to have had over 100. As a professional his first seven fights were insignificant on paper. Under Trainer Brian O'Shaughnessy though, he has been picking up the traits to help him through a career, not necessarily to please everyone immediately. O’Shaughnessy for his part has cultivated a gym of hungry young talent, coming through together. Alongside Okolie you will find Umar Sadiq, Dan Azeez and Muheeb Fazeldin. As well as being gym mates, they are each supporters of one another. They attend shows to lend a voice. Not just the big ones. It wasn’t long back that Okolie strode into the Bedford Corn Exchange on a warm Sunday evening to support super featherweight Fazeldin. There have been challenges. The well built debut in March 2017 happened as part of the Crolla Linares card in Manchester. But due to show timings, it went on after the main event and away from the live cameras. There was the infamous outing at Wembley that never happened, again due to show timings. But challenges help to build character, which is something that Okolie seems to have in abundance. British Beef. It was the showdown between two London lads, both early enough in their careers to recover should they lose. Okolie vs Chamberlain. Who can forget the build up? Vignettes filmed in a London café that harked back to the burger flipping days of Okolie. Cheesy? Double. But they worked. People got on board in a fight that harked back to the 2011 showdown between DeGale and Groves. Granted both were more advanced that Okolie and Watkins, but there would be plenty of time for both to go and claim world level honours after. The fight stunk, headlining an O2 card that was poor all round. You'd suspect it was neither a fight nor a gameplan that either man really wanted. In hindsight, you’d question the sanity of the whole card. No big names sat underneath the two cruiserweights to prop the card up and then the main event was an eyesore. Whatever the reason, be it nerves or injury or a bad mix of styles, Okolie walked out the victor. But there were no true winners from that night. What it did though, was cement Okolie as the top Matchroom cruiserweight prospect. Eight fights in and holder of a WBA trinket, he moved on. Luke Watkins, the Commonwealth champion who himself was 13-0 in a promising career. Again a headline slot awaited, but this time at the more appropriate York Hall. But this time, Okolie turned up in fashion. It took only 3 rounds to send Watkins back to Swindon and claim his second career title in nine fights. Both the Chamberlain and Watkins fights showed the ability to adapt to what was in front of Okolie. He evolved his style. Long when needed, short when needed, hold when needed, spoil when wanted, power when desired. Those seven throw away fights? He was learning. Sometimes away from the cameras, sometimes in adversity, sometimes in the gym. Okolie was evolving. Now, he steps up yet another level. He heads to Wembley once again, this time in pursuit of the British title against the far more experienced professional Matty Askin. Askin has been on a roll since 2015 and a bizarre incident as he tumbled out of the ring against Lawrence Bennett at York Hall. Since then he has picked up the British title and defended twice. In that period, he has taken the undefeated records of three domestic rivals. He wants a fourth. The odds would appear, on paper, stacked against Okolie. Askin has more KO wins that Okolie has fights. The last time Askin lost, Okolie was still an amateur dreaming of the Olympics. Personally, I favour Askin going into this, but I have always had doubts over Okolie going into fights. Perhaps it is his style, or that occasionally awkward looking style, similar to when a teenager hasn’t grown used to his expanding frame. However, not once have I been right. Not even close to right. 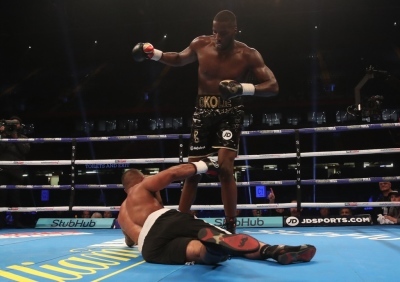 Okolie has beaten with relative ease all challenges before him. Askin is a different animal to all of those. 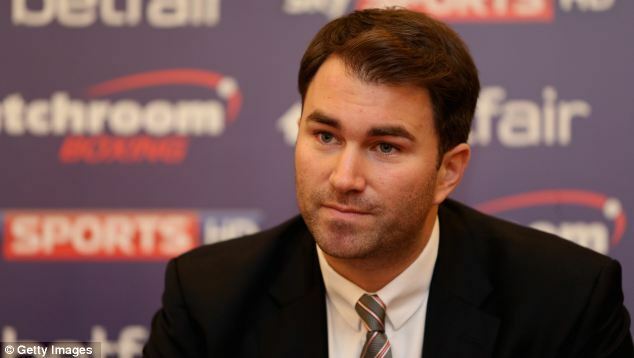 He has chewed up and spat out people with better records on paper than Okolie. But will Okolie find that next stage of evolution as a boxer, that next step to show what he believes he can achieve. It seems almost daft to pick against him, given every challenge he has overcome. On September 22nd at Wembley we will get to see. Both men are on upwards trajectories, one man is learning as he goes. A win against Askin will show not only that Okolie means business now, but open doors to big fights at domestic level and beyond. This is only fight 10. Fights 11-20 could be spectacular. 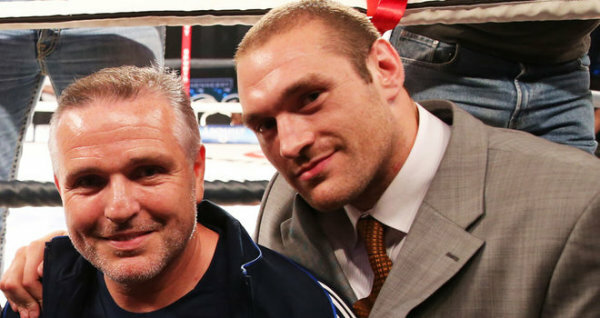 But whatever the outcome, the boxing fraternity will applaud Okolie. So often we hear that a fighter needs to be held back as they don't have enough amateur experience, or they are learning on the job. Okolie's amateur experience was short but bright. To date, his professional career has shown every sign of being brighter.